Essential Oils for Hair Loss - Which Ones Are Best? Essential Oils for Hair Loss: Which Ones Are Best? And Do They Really Help? Using essential oils for hair loss can help, but how well they’ll work for you all depends on which oils you use, how long you use them for, and how bad your hair loss is in the first place. This page reveals which combination of oils might be the best to try, examines the evidence that this type of treatment works, and explains what happened when I tried using essential oils to tackle my own hair loss. Aromatherapy uses the therapeutic energy stored within the essential oils of certain plants to treat a huge number of physical, mental and emotional disorders. They're called "essential" oils because they represented the "essence of life" to the alchemists and herbalists who started creating and using them in the 16th and 17th centuries. Note: They should not to be confused with essential fatty acids (e.g., omega 3 fish oil) whereby "essential" refers to the fact that they’re vital for our health but can't be manufactured by the body itself, and so, have to be obtained from the diet. Essential oils are formed by distillation (i.e., purification by boiling, condensing and then collecting the concentrated liquid that results) using the most potent part of the plant. This could be the bark, stems, leaves, flowers, rind of the fruit it bears, or even the whole herb itself. The end product is extremely pure and concentrated, and often has a very powerful smell. Despite the name, essential oils are never greasy. Most research suggests that gently massaging certain oils into the scalp is the most effective way to use them for stimulating hair regrowth. But, because of their strength, essential oils are never applied neat. Instead, they should be diluted and mixed together (blended) using one or more base (carrier) oils - These are vegetable oils such as: almond, grape seed, jojoba, olive, sesame seed, sunflower seed and wheat germ oils. Which Essential Oils Will Help the Most? Five areas of research are summarized below with the essential oils color-coded so you can easily spot which ones overlap. No color means no overlap. And all carrier oils are black and bold. This idea led to the BX3.4 hair loss helmet – a product that combines these two forms of therapy. The official recommendation for customers is to apply this therapy for half an hour a day, three times a week for eight months, then twice a week for a further 6 months, and thereafter, once a week if needed. The manufacturers claim that, in clinical trials, this therapy stopped hair loss after three months, and grew 20% more hair after six months, in nearly all test patients. Was it the electromagnetic field, the essential oils or both that produced these results? Learn more about the BX3.4 hair loss helmet? 1. The osteopath was said to have his own special massage technique. And I know from my own methods that certain hands-on techniques can work wonders for hair health and growth without any need for essential oils. Which makes you wonder doesn’t it? Was it actually the ancient Indian head massage technique or his choice of essential oils for hair loss that produced these results? That’s an important question because, if the main benefit was down to the massage, then you might as well continue with that and not keep forking out loads of money for an endless supply of essential oils! 2. There’s also no mention of how many sessions per week were needed, or how long this therapy continued before results started to come through. But it’s probably comparable with the other research I’ve found – several months were likely needed. 3. There was no mention of which, if any, carrier oil was used. The carrier used was a combination of jojoba and grape seed oils. The mixture was massaged into the scalp every day for 7 months. 1. This was a very small study - just 43 people were tested using these essential oils for hair loss caused by alopecia areata (which is a very rare type), and another 41 were in a control group (they were given the carrier oils only). And clearly, the larger the study, the more reliable are its results. 2. The results were not overly impressive – 44% of people in the test group did show an improvement in hair growth, but 15% in the control group also showed improvement. So that suggests less than a third (29%) received benefit from the essential oils alone (i.e., 44% minus 15%). However, alopecia areata is notoriously difficult to treat, so any positive effect could be considered a good result with this type of hair loss. 3. It’s interesting that applying just the carrier oils still produced similar results to the essential oils for a number of people, especially when you consider that carrier oils cost just a fraction of the price for essential oils. 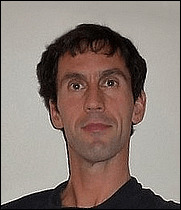 Learn about this type of hair loss? Alopecia areata. Note: This source did not specify which carrier oils were recommended, but did state that a proportion of one drop of essential oil to 10 ml (2 teaspoons) of carrier oil should be used. Very soon after I started losing my hair, one of the first things I did was to try and find a quick, simple natural solution. So when I read a book which claimed that certain essential oils for hair loss could encourage hair regrowth by stimulating scalp circulation, I decided to give it a go. Basil was declared the best stimulator known, with rosemary second. 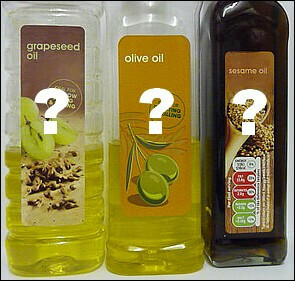 Almond or sesame seed oils were suggested as the carrier oil. 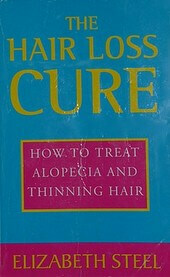 The book claimed that just a few months would be needed to prevent further hair loss, restore hair regrowth and improve hair texture. Note: A whole variety of other herbal-based home-made products (including shampoos, mud packs and hair rinses) were also recommended to produce these results. 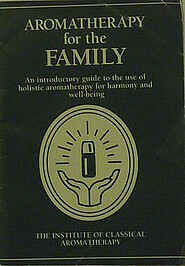 But the essential oils seemed the most important, so that’s what I concentrated on. You can find out how I got on further down the page. 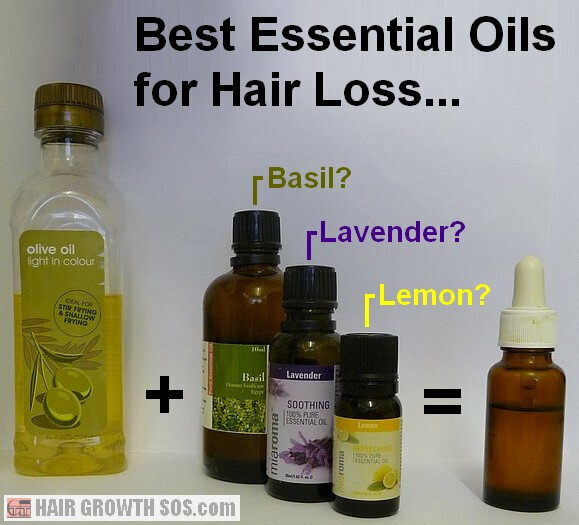 Which combination of essential oils for hair loss is best? From all this research, you can see that there’s a big difference in opinion as to which essential oils for hair loss should be used. However, rosemary and lavender do stand out quite a bit - both being used in four out of the five examples above. So that suggests they might be the most likely to help you. It’s also interesting that basil (said to be the best stimulator of all by one source) only appears once. Finally, it should be noted that some essential oils blend really well together, but others do not. Obviously those listed together in each area of research should blend well. Which carrier oils should you use? From the research above, you can see that these vary quite a bit too. However, since the primary purpose of a carrier oil is to help blend the essential oils for hair loss together and deliver them to the hair follicles, it makes sense to choose a carrier oil (or combination) that will be absorbed well through your skin rather than simply sit on the skin surface. So, given the positive results claimed in each area of research, this suggests that all these carrier oils can do this. * If you do try this idea, by all means let me know how you get on. Just use the Contact form with the following information and I'll post your results at the bottom of this page. Hopefully your experience will help others. Thanks! 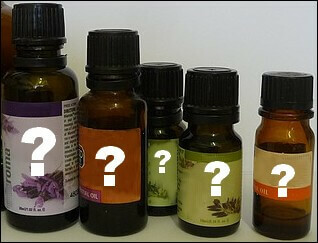 Which combination of essential oils for hair loss did you use? Did you apply the oils every day? How long did you try this treatment for? Did it help with your hair loss? Finally, olive oil also wasn’t mentioned in any area of research above. But it too can be used as a carrier oil, and is also said to be healthy for hair by removing residues from the scalp. What Happened When I Tried Essential Oils For Hair Loss Myself? Now, as you may already know, one of the main problems with hair loss treatments is knowing whether or not they’re having any effect. But the book clearly stated that I would feel a "tingling sensation" in my scalp (indicating that the blood supply was being stimulated). And that was obviously something I could easily notice, and which would confirm the treatment was working. But, unfortunately, this tingling sensation wasn’t really felt at all. So I decided to strengthen the concentration of essential oils by reducing the amount of almond oil I used. But I still hardly felt any tingling sensation. This, of course, then prompted me to make the essential oil concentration progressively stronger and stronger until, eventually, I was applying basil oil neat to my scalp! I knew this wasn’t recommended, but being desperate to save my hair, I completely ignored the advice. Although I did (finally) feel a tingling sensation, the smell of basil was totally overwhelming, and was also making me restless* at night. * Some oils are good for relaxation (e.g., lavender) so might help you sleep; others are stimulants (e.g., basil) so might keep you awake. After about three months in total with no noticeable results, I decided to stop using essential oils for hair loss. Understandably, I was very disappointed at the time. But, eventually I went on to develop my own natural solution. Should You Add Essential Oils to Your Shampoo? 1. The essential oils will get extremely diluted as soon as you lather up the shampoo. 2. As you massage your scalp, the essential oils will get spread out over the whole scalp, not just the hair loss region you want to concentrate on. 3. The essential oils will only stay on your scalp for a few minutes before you rinse them all down the plug hole! Given then how expensive essential oils can be, I think it makes much more sense to stick to the carrier oil idea and just massage the hair loss region of your scalp. 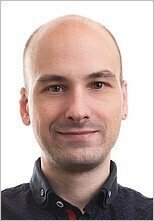 Conclusion: Can Essential Oils Stop Hair Loss? Well, based on my own personal experience… No! However, my hair loss was pretty bad at the time. So maybe if I had persevered for much longer (years?) or used a different combination of oils, I might eventually have seen some improvement in hair health or even some hair regrowth. Also, given that most results in the research above do seem quite impressive, perhaps essential oils can help some people to some extent. But, for those who are losing their hair fast, I think it's unlikely. Essential oils have been around for hundreds of years. But, despite this, and all the research that’s been done, the fact that there’s still no definitive combination of oils proven to be really effective and being widely used, strongly suggests to me that using essential oils for hair loss is not going to work for most people. I hope this article has helped you decide which (if any) essential oils to use.